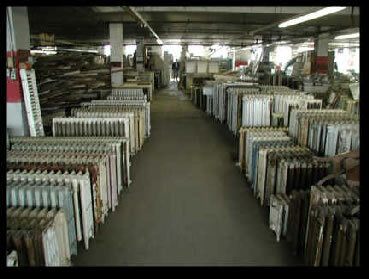 Radiators come in many diiferent shapes and sizes making the process of choosing one very confusing. 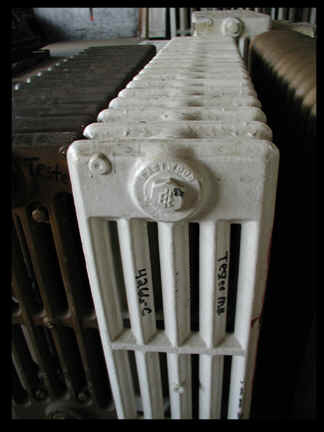 Here at Caravati's we offer a wide array of cast iron radiators for hot water systems. 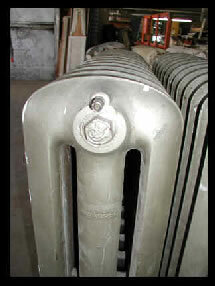 We have scrolled (decorative) radiators, round top radiators, thin tube radiators and base board radiators. All of our radiators are pressure tested before they reach the show floor to ensure that they are leak-free. 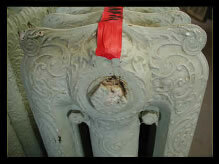 Our antique radiators are priced at hundreds below reproduced radiators and are a healthy efficient way to heat a home! Please send us your size requirements and we will find a radiator to suit your needs.